In the modern era, children experiencing grief were encouraged to dry their tears and 'be good soldiers.' How was this phenomenon interrogated and deconstructed in the period's literature? Be a Good Soldier initiates conversation on the figure of the child in modernist novels, investigating the demand for emotional suppression as manifested later in cruelty and aggression in adulthood. Jennifer Margaret Fraser provides sophisticated close readings of key works by Joseph Conrad, Virginia Woolf, and James Joyce, among others who share striking concerns about the concept of infantry -- both as a collection of infants, and as foot soldiers of war. A phenomenon associated traditionally with Freud, Fraser instead uses a unique, Derridean theoretical prism to provide new ways of understanding modernist concerns with power dynamics, knowledge, and meaning. 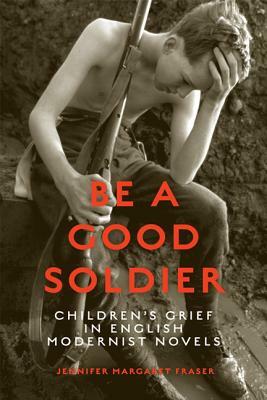 Be a Good Soldier establishes a pioneering, nuanced vocabulary for further historical and cultural inquiries into modernist childhood.